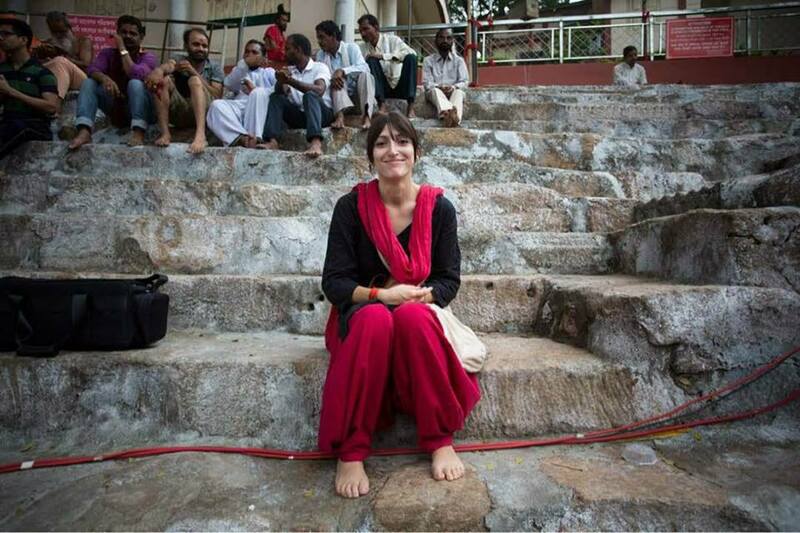 Daniela Bevilacqua is an Indianist who is carrying out an important, and in many ways unprecedented, ethnographic research among the ascetic orders traditionally linked to the practice of yoga in the ancient times. Before starting the interview, it is worth spending a few words on the context in which her research is taking place that is the Haṭha Yoga Project. The HYP is a five-year research project funded by the European Research Council and based at the School of Oriental and African Studies of the University of London. Its purpose is to document the history of the physical practice of yoga through the philological study of the texts and the ethnographic research among the practitioners of traditional yoga, to study their relationships with contemporary practice. Among the Hatha Yoga Project researchers, there are scholars such as James Mallinson and Mark Singleton, authors of two important texts that have helped to radically redefine what we know about yoga today: the most recent, Roots of Yoga, co-curated by both, has made available a hundred or so texts that have never been translated before, revealing unpublished aspects of pre-modern yoga (such as, for example, the close connection with Tantric Buddhism); Singleton’s Yoga Body, on the other hand, reconstructed the birth of modern globalized yoga, bringing to light the creative aspects of tradition and the complex relationships with physical culture between the nineteenth and twentieth centuries. The team also includes Jason Birch (Historian of Haṭha and Rāja yoga) who is editing and translating six Sanskrit texts on yoga and S V B K V Gupta (Research Assistant) who is transcribing manuscripts in south-Indian scripts for the HYP. And of course, Daniela, who is in charge of the fieldwork and who was kind enough to answer some of our questions while on the road for her investigations. 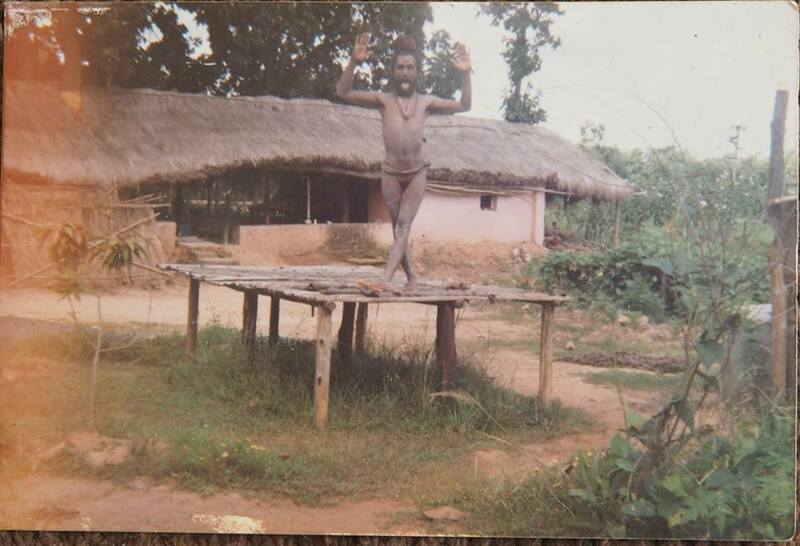 Considering the work of the HYP members, a question arises spontaneously: how is it possible, given the enormous popularity of globalized yoga, that the study of the direct sources of its origins through ethnographic work is actually a territory so little explored? I’m asking you because in many publications and training for teachers many certainties are still transmitted, which are actually based on very weak evidences. In short, how is it possible that not only we did not know, but did not know that we did not know? Don’t tell me! When I started this project, the first thing I did was a bibliographic research on the ethnographic works already done on the subject, and to my amazement, apart from some articles by James (James Mallinson) and Ramdas Lamb – both scholars connected with the Vaiṣṇava Rāmānandī order- and some scattered references in sub-paragraphs of monographs – I did not find anything specific. 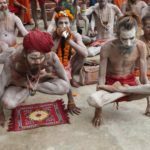 The academic world, or rather the ethnography, has completely left aside the “traditional” Indian yogis. There are several books written by modern yogis, or by westerners who have spent time and studied with some yogis; however, until now, an academic ethnographic work focused exclusively on the practice of yoga by yogis belonging to traditional ascetic orders has never been done. The reason why, I’m not sure. Perhaps because written texts of the past are still evaluated more than the oral narratives of the present. But in reality, even academic studies focusing on haṭha yoga texts are a recent introduction into Sanskrit studies. Perhaps, the scarcity of ethnographic work also depends on the fact that ethnography among Indian bābā (ascetics) may not be congenial to everybody. James, for example, involved me in the project because he knew that I was already “into” the Indian ascetic world, I know the orders, I can speak Hindi and I also have the disposition to do intense fieldwork in India in situations that are sometimes a bit extreme. In fact, doing ethnography among sādhus means to be able to adapt to various situations, even taking into account the etiquette due to gender, and to spend time with people waiting until mutual trust develops and there is the possibility of a in-depth talk even without initiation. This is indeed one of the ethnographer’s problems, since specific teachings are given only after entering the order. Which, of course, I do not do for an ethical reason: I could pretend devotion and take as many initiations as the orders I “work” with are, but this is not the right way to proceed in my opinion. So I prefer to let time runs its course and let the sādhus decide what to tell me and when. So I’m not making any sensational discovery (but if I did, I would not write them and tell the world! ), still I’m collecting many pieces that I hope will help us to understand the evolution of haṭha yoga until today and the position of various ascetic groups in it. Your ethnographic research takes place in some of the ascetic orders traditionally linked to hatha yoga in the ancient times. What can an oral tradition tell us about the past of the yoga, which the texts do not say? What is the relationship between innovation and conservation, if a distinction of this kind makes sense? Following texts and my personal experience, I first turned my attention to the Rāmānandī, then to the Nāgā Daśnāmis, to some Udāsīns and to the Nāths, which are the groups mainly connected with the practice. I try as much as possible to gather information especially from the Nāths, since the diffusion of the teaching of haṭha yoga is traditionally traced back to Gorakhnāth, who, together with Matsyendranāth, is generally considered the “founder” of the Nāth order. What can the oral transmission tell us about the yoga past? Well, first of all, it pushes us to question about the purpose of the texts, who they were written by and who they were addressed to. In fact, only a very small part of the ascetics I deal with knows the texts, because they attach little importance to them: if something can be read by everyone, obviously it does not represent the true teaching but only its surface: to dig properly into it we can’t leave the guru aside. So the only teaching that matters is what comes from oral transmission. And this is evident in haṭha yoga even more so because it is an experiential tradition, based on practice: it needs someone who can show and explain how to practice the various āsanas, kriyās, etc. This is vital. But this is also emphasized in the texts themselves. One of the goals of the Haṭha Yoga Project is to understand the role of these texts and their audience, and the combination of ethnographic and textual work is bringing good results. So, to sum up, compared to the texts, the oral tradition tells us exactly how to do those practices that are more or less described in the texts. Furthermore, it should not be forgotten that these practices are included in a religious context, so there is a whole range of additional knowledge that is necessary to be implemented to make the physical practice spiritually effective. In addition, oral tradition can give us important hints to reconstruct historical contexts, or to give to some words more extensive explanations in order to reconstruct their historical evolution, or to understand their meaning from different perspectives. Regarding innovation and conservation, Indian reality, both textual and oral, although it claims to preserve, presents various possibilities of innovation thanks to the importance given to the guru: The guru is a constant source (both in the present and in the past) of innovation. This is why among the ascetics there are many variations and many different “stories”: each one transmits the teaching that comes from the guru of a specific tradition, and by tradition I refer not to the order in general but also to that of a temple or a specific monastery. The yogic sādhanā (discipline), again, is experiential, so it is based on the experience of a guru who, trying and experimenting, has found a path that allows the realization of yoga. Since he has found this path, he can teach it. This also implies the possibility for the yogi of a continual search from different sources. An ascetic spends the first years of his life as a renounciate not only with his own guru, but wandering through several centres of pilgrimage, spending time with other ascetics, sometimes even other orders, and so he creates his personal collection of experience and knowledge, on which his discipline will be based. It is easy then to understand how changes and innovations can occur. What is their attitude towards globalized yoga and what is their relationship with it? From a certain point of view there is a particular indifference: āsanas and prāṇāyāma are good for everyone, so if this kind of yoga – which is what Baba Ramdev teaches and advertises like a maniac today in India- spreads, then it’s good for humanity. Obviously, there are also ascetics who support this type of yoga because they aim for success in the West, out of curiosity, but also to hopefully become a famous yoga guru and accumulate disciples, fame and above all money. However, for most ascetics, the advertised globalized yoga is a form of gymnastics, completely unrelated to the meaning and the spiritual goal that their yoga sets. For ascetics, yoga is not something to be done every other day or once a week, but it is an individual discipline that involves following precise rules and precepts, focusing on a single objective and, in doing so, obtaining the true knowledge of the self, of the reality, or the union with Paramātmā and so on. This is why, as a yogini has told me once, the path of yoga must be undertaken when one really intends to answer the questions underlying the self. Then, since enquiry becomes a necessity, everything is put aside, and the only attention is paid to obtaining these answers. In your paper “Let the sadhus talk” you note that, for most of the ascetics you interviewed, the term haṭha yoga is meant as a mental attitude rather than a corpus of physical practices, which are often considered propaedeutic and of secondary importance. Is it possible that this is the main element of discontinuity for what concerns globalized yoga, which is so worried about the technical aspect? Yes, most of the ascetics I interviewed have defined haṭha yoga as a precise intention, a specific effort aimed at a specific goal. The reason is related to the fact that yoga also means “method, way” so when an ascetic says “haṭha yoga if hota hai” means “it happens through haṭha”, and therefore haṭha yoga is that method which, as I say in the article, is based on an intention so strong that leads to the fulfillment of the goal. For this reason, most ascetics associate haṭha yoga with tapasyā. 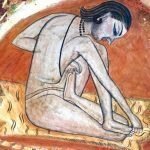 This connection between haṭha yoga and tapasyā is not a particular discovery, since, as Mark Singleton explains in his Yoga Body, in the last centuries haṭha yogi was synonymous with tapasvin, the one able to perform incredible austerities. And indeed even today, among the ascetics, those who do such practices – like being with one arm up or standing, etc. – are called haṭha yogis. But there are sādhus who also list haṭha yoga practices: āsana, prāṇāyāma, ṣaṭ karma (rarely defined as such, but called by their name such as nauli, basti, etc.) and kriyā (often using this word to indicate mudrā, bandha and “actions” in general). These two explanations are not antithetical because the same intention used to accomplish a tapasyā is also necessary to make the various physical practices of yoga siddh, which means perfected. Still, such perfection is achieved through strict discipline. It is interesting to note that those who have full control over physical practices such as āsana, ṣaṭkarma, bandha etc. are called Yogi Raj among the ascetics. Obviously, their discipline is not only focused on the āsanas, but also on following the rules (yama and niyama) necessary to help the mind to regulate itself and be ready for non-physical practice. Those who achieve perfection in dhyāna / samādhi are called Yogis. To sum up, ascetics who undertake yoga sādhanā pay attention to the physical part which is needed especially at the beginning to discipline the body and consequently to teach the mind to focus on the goal. In addition, it helps the body to endure meditative practice without the distraction of physical tension. But unlike globalized yoga, there is the awareness that once the āsanas are perfected, one must “let them go” and focus on the important part of yoga, the various sādhanās that lead to samādhi. Obviously, āsanas and prāṇāyāmas and other techniques continue to be used when needed, a couple of minutes a day, two or three of the needed positions. 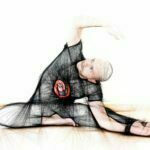 In globalized yoga, on the other hand, I do not think this detachment is evident, many are struggling with postures because it allows them to see tangible and visible results, which spiritual practice obviously does not. Of course, there are also many teachers who follow a spiritual practice, but if we talk about the multitude of people doing yoga as a sport, that is only āsana and breathing, then yes, discontinuity is an abyss, but simply because it lacks this awareness. An ascetic makes the positions for the same reason of the Westerner that goes to yoga classes: to have a healthy body. But the ascetic knows that this is nothing but a drop in the sea, and only a limited and limiting physical component, while the Westerner, in many cases, thinks he’s doing something special. An ascetic once told me: “I used to do āsanas during the pauses of my meditation practice to relax the body, I was doing āsana because I was in a cave, otherwise a running would have had the same effect”. Can you tell us about the presence of women who practice haṭha yoga? Is this an innovative element compared to the past? Scultura dal Mahudi Gate a Dabhoi nel Gujarat, risalenti al XIII secolo. 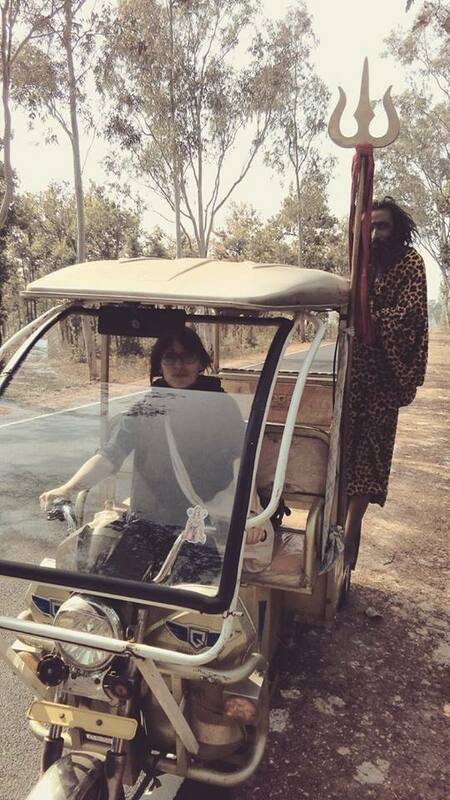 Foto di James Mallinson e Daniela Bevilacqua. First of all, we must consider that women who manage to become ascetics within the traditional orders are actually few and they often achieve that at an old age. But, I happened to meet a yogini who, at the age of 12, had completed her learning of the āsanas, ṣaṭkarma, etc. She does not describe her practices as haṭha yoga, she interprets them as steps of yoga, since she is also a practitioner of austerities and her idea of haṭha yoga is very related to tapasyā. Then, I met another yogini who took the initiation as an adult, after raising her children. She is called Yogi by her order because she spent several years meditating in the jungle. But she also does body postures. In these years of fieldwork, I have met only two of them in the ascetic world as practitioners. Surely there are many more, but they often remain hidden. If we consider the “secular” part of yoga in India, I have not seen different results. I have met some families in which yoga is practiced and transmitted in a traditional way into the family, but only to those who are considered worthy and able to complete entirely the training to allow further its transmission. Also, in this case, it is not taught to women (at least in northern India and according to my limited experience). So yes, that yoga is now an extremely common practice among women is an innovative element compared to the past, at least as we can imagine looking at the present situation and considering the texts. The texts speak to us of the male practitioner, and many techniques focus on a male body. Surely there were yoginis in the past and even today there are, especially in tantric currents that do not call for the renunciation. 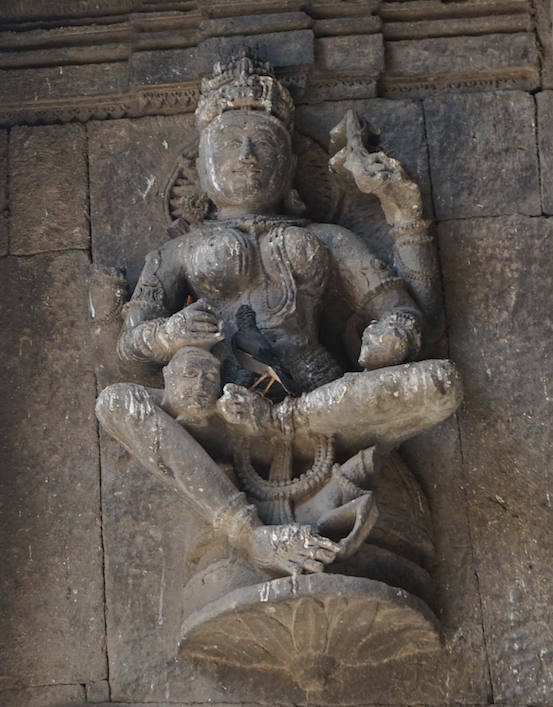 However, a “haṭha yoga” tradition written by a woman has never been transmitted, although it is not uncommon to find miniatures representing women practitioners, especially of the Nāth order, while performing austerities. Unfortunately, in many traditional contexts Indian society was, and still is, tough towards the individual development of a woman, both in the secular and religious fields. Are you a yoga practitioner too, like other HYP members? If so, can you tell us about your relationship with this discipline? The first time I practically approached yoga was in 2006 in Rishikesh: I started a course and followed classes twice a day, plus an evening meditation session. Back in Italy, I looked for teachers similar to that I had in Rishikesh, and I was deeply disappointed. I tried again with yoga in 2010 in Varanasi, with a fantastic teacher who did only one-on-one lessons. With him I resumed doing āsana and prāṇāyāma, but I never found a teacher who was able to go beyond them. I must say that, although highly useful for the body and to create a state of relaxation, I sometimes found modern yoga classes boring or, when full of chitchat, quite irritating. So I started doing yogāsana as many sādhu do – not knowing that – that is, I make the positions I need when I need them and if I have time, to take care of my body a bit, especially when I’m in India. I try to put into practice, if necessary, the things that the ascetics tell me or show me. I can not say I practice yoga because seeing what yoga is for ascetics, having spent time with them, I realized I can not use such a word: I do not follow all the yama nor niyama, and I do not have the necessary faith to make it my spiritual discipline. So, with yoga I stay in a very friendly relationship: we know each other, but nothing more than I need to keep the body sthir (firm).